Rotafix cement based masonry stitching system. 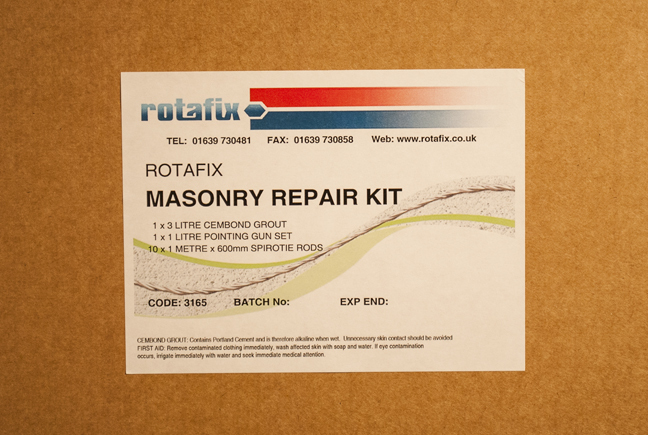 Rotafix Masonry Stitching Kits have everything you need to make a professional repair to progressive cracks in masonry, brickwork, blockwork or stone. The kit contains rods are made from high tensile strength stainless steel and provide the connection between the two pieces of brickwork and provide stability in tension. The Cembond grout is a fast curing masonry mortar with a high compressive strength designed specifically for pointing and repair applications. 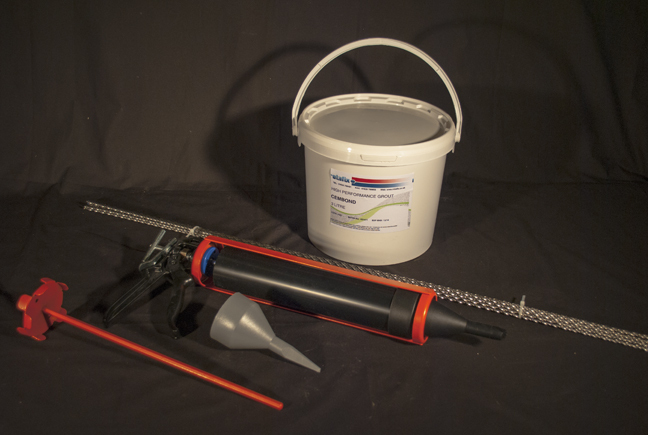 The Rotafix Masonry Stitching kit contains 10 off 1m long helical rods, 3 litres of cembond grout and a specially designed 1 litre pointing gun. Specially designed helical rods combined with Cembond Grout allow you reconnect masonry sections quickly and easily for a lasting repair. To purchase the Masonry Stitching Kit please call our Sales Team on 01639 730481.